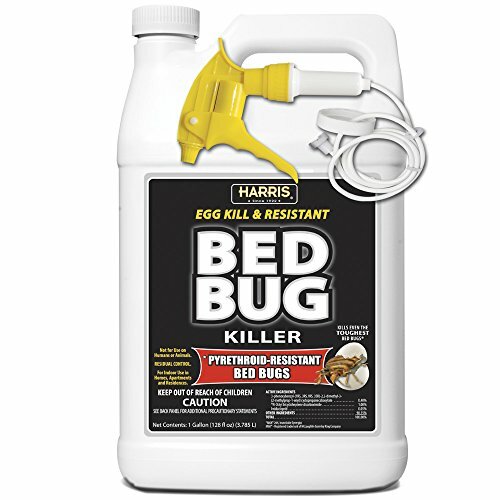 Harris pyrethroid-resistant bed bug Killer will kill the toughest bed bugs & their eggs. Some bed bugs have become immune to pyrethroid formulations, yet cannot escape this special formulation. For best results, use this product in conjunction with Harris egg kill & resistant bed bug spray Aerosol & Harris bed bug Killer with Diatomaceous earth or Harris bed bug powder with silica gel. For use on Luggage, clothing, carpet, furniture, box springs, mattresses & many other surfaces.